Cincinnati, OH, Sept. 10, 2018 – Metcut Research, Inc., a global leader in materials engineering and testing, celebrates its 70th anniversary this week, a success the company credits largely to its team of 180 dedicated employee-owners. Metcut Research, Inc. was founded on Sept. 11th, 1948 as a research and development company dedicated to the machinability of materials. Over its history, Metcut developed much of the information and techniques used today for machining metals, particularly in the development of low stress grinding techniques. Between 1966-1980, Metcut published three editions of The Machining Data Handbook, a source that remains a valued reference for the machining industry. Metcut Research, Inc. is today considered an industry leader in mechanical testing and materials evaluation, with a reputation for developing highly specific, customized, non-standard testing for its customers. In 1976, Metcut became one of the first companies in the region to transition to an ESOP structure. At the time, Metcut employed 90 people. Since the inception of the ESOP plan, the value of Metcut stock has grown by over 7800 percent and the company has double the size of its workforce. Metcut employees receive three or more years of highly specialized training upon joining the company and have an average tenure of 16.5 years, a testament of their commitment to the company’s overall success. In fact, 19 percent of the workforce has been with Metcut for 30 years or more. “As the industries we serve have evolved, so have we, thanks to our employee-owners,” said Phil Bretz, CEO of Metcut. “Each of us has a stake in the long-term future of the company, and are equally invested in providing the highest quality of services to our customers,” he added. Metcut has served more than 3,500 customers in the aerospace, power generation, ground transportation and biomedical device industries. In 1994, Metcut opened its first lab facility internationally, a 11,000 square foot facility in Nantes, France. In 2015, the company invested more than $4.5 million into a 10,000 square foot expansion of its headquarters in Oakley, and a 22,500 square foot expansion at its facility in Forest Park. To this day, Metcut is one of the only independent laboratories in the world to have a strong floor, a heavily reinforced, pre-stressed concrete floor on which the company can test large structures. In 2010, Metcut’s headquarters on Rosslyn Drive in Oakley was named a historic site for its “groundbreaking work conducted in the areas of machinability and surface integrity” by ASM International, the world’s largest association of materials engineers and scientists. 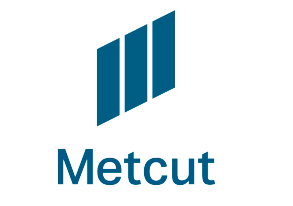 Founded in 1948, Metcut Research, Inc. is a global materials testing and engineering firm providing independent applied research, development, conditioning and testing of composite, metals, ceramics and other materials, and has served more than 3500 customers worldwide. In addition to Metcut’s global testing facility in Cincinnati, the company owns and operates Cincinnati Testing Laboratories in Forest Park, Ohio and a third testing laboratory in Nantes, France. Since 1976, Metcut Research, Inc. has been proudly employee-owned by its 180 employees worldwide.